We had a fantastic engagement shoot with Sam and Mitt all over the city of Philadelphia, and after having such a good time, Sam and Mitt got to thinking — could we fly Joe and Rebecca out west for our multi-day, Catholic and Mormon ceremonies in Colorado Springs and Salt Lake City? The answer was a resounding yes! It was a no-brainer. We love to travel, and it was great for Sam and Mitt because they didn’t have to try to hire two different local photographers, neither of whom had done a shoot with them. With us, they could relax and be themselves, knowing we’d get the shots they wanted. We arrived at Glen Eyrie, a spacious retreat center with giant red rocks that stretched to the sky and a herd of bighorn sheep that kept making an appearance. 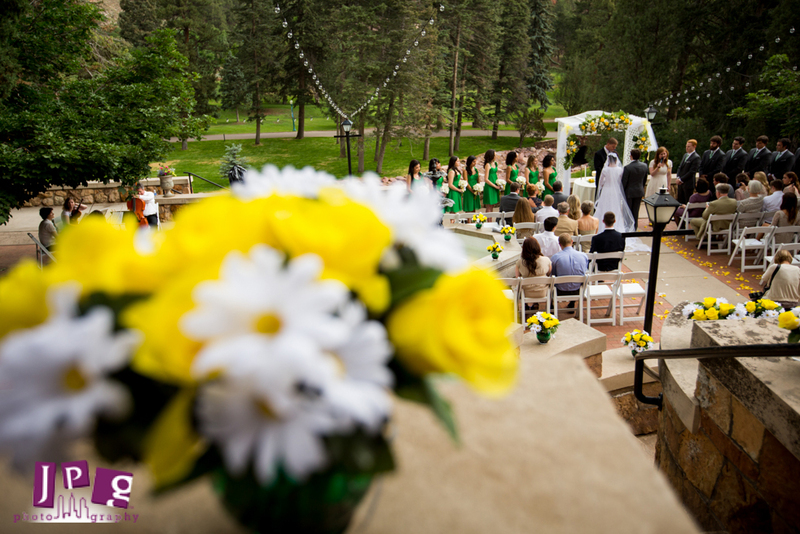 Sam and Mitt had an intimate outdoor ceremony, and Sam descended from a giant staircase and then down the aisle. The sun was shining, but just as Sam and Mitt began to exchange their rings, the sky darkened and it began to drizzle. Still all smiles and full of adventure, Sam and Mitt shared their vows and kiss, not even seeming to notice the weather. 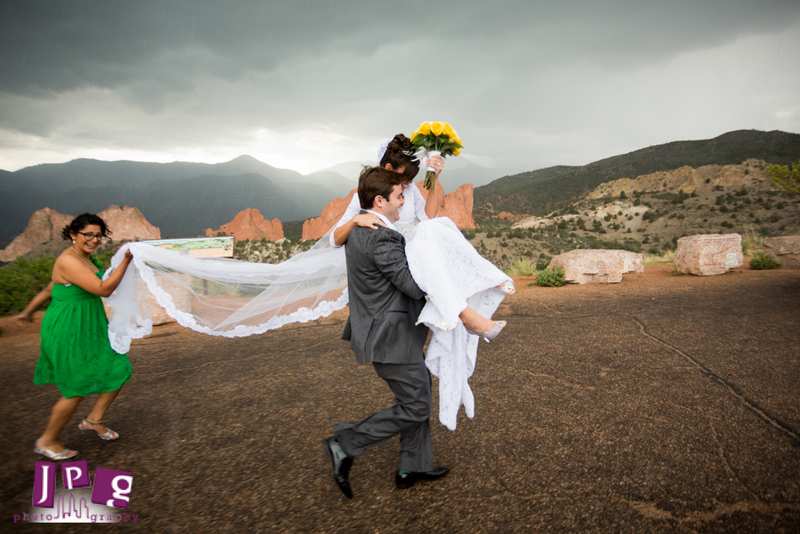 The rain stopped long enough for us to do some couple shots overlooking a huge canyon, and then it began again. We snagged a great shot of Mitt picking up Sam — dress and everything — and whisking her quickly to the car. We all got a little soaked, but we kept laughing. 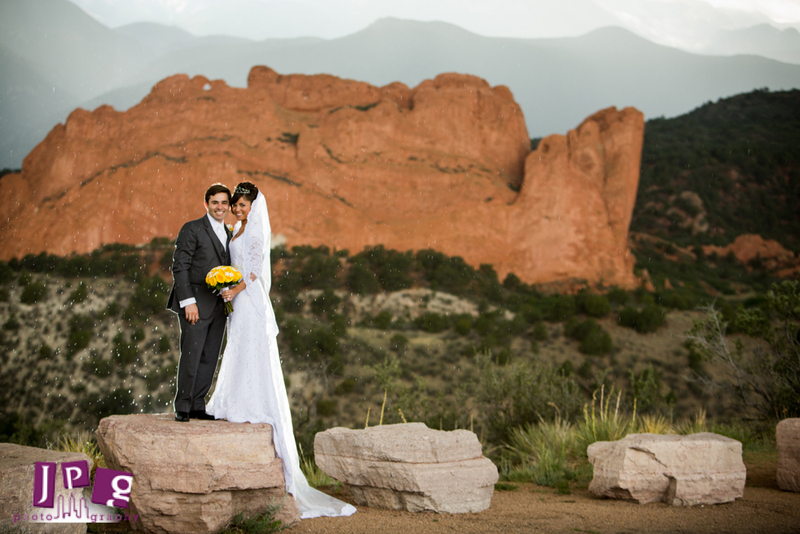 The rain let up again, and the sun came out, so we took some more pictures in front of the giant red rocks and the castle — yes, Glen Eyrie has a castle! The reception was held inside, and one of the highlights of the night was when Mitt played a song on the piano that he used to play for Sam when they were dating. Later, a mariachi band arrived and played some fun tunes, which kicked off the money dance. I don’t think Sam and Mitt stopped smiling all night! At the end of the night, Sam and Mitt had one of the most creative exits we’ve seen — they gave each of their guests a balloon with an LED light inside. Sam and Mitt emerged through the blue and green lit rows of people, boarded a horse-drawn carriage and rode into the night as their guests released their balloons and the bright lights drifted toward the sky. 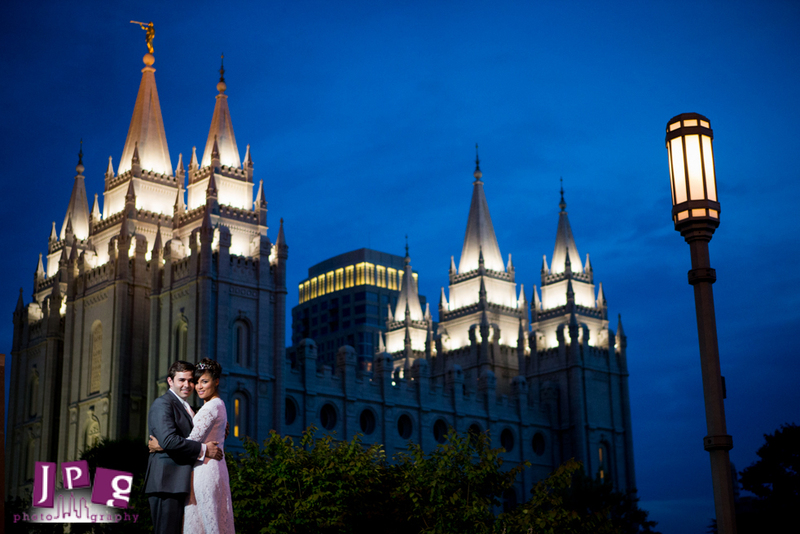 The next morning, we flew out with Sam and Mitt to Salt Lake City, where they had a private Mormon ceremony in the temple. While we were not allowed inside the temple, we were there to capture the couple as they emerged. 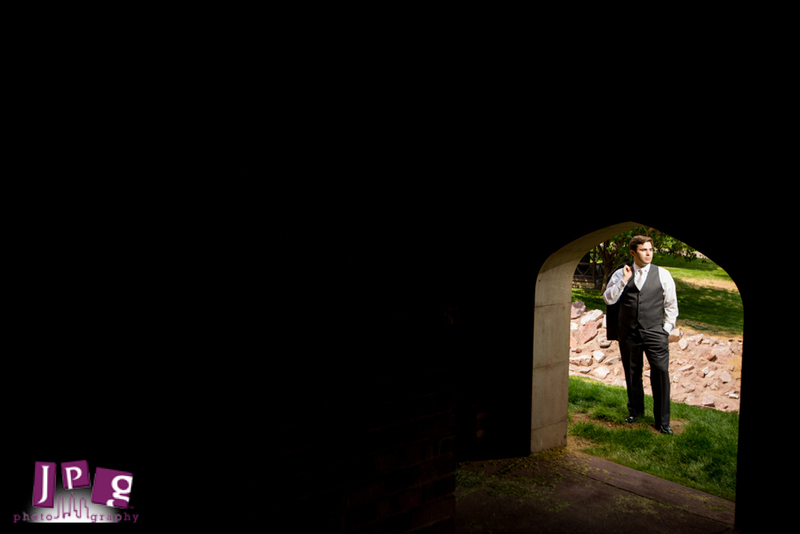 We got some great shots in front of the temple door and around the grounds. Then, we headed across the street for dinner. Afterward, Sam and Mitt emerged to bubbles and a second horse-drawn carriage waiting for them. 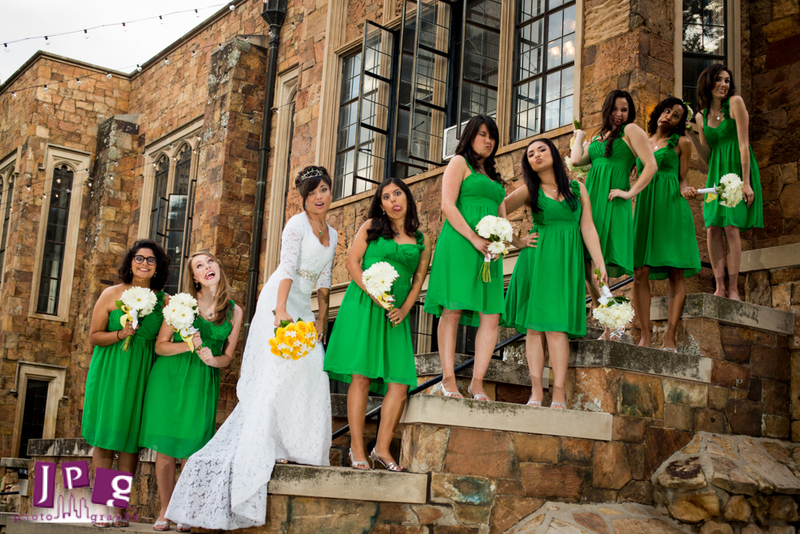 Let me tell you, this couple loves loves loves photos, which makes our job so easy! They rode around the corner, and then returned, asking if we could do just a couple more night shots of them in Salt Lake City’s downtown. We were thrilled! All in all, Sam and Mitt’s enthusiastic energy was contagious, and it made our creative juices flow. We loved being able to document their journey in so many different and beautiful locations. Sam and Mitt, thanks so much for coming up with so many unique wedding ideas. May your love for one another be just as exciting as your imagination, and may these photos be a testament to the beautiful journey that you’re embarking on together.